Since the 1997 launch of an online store that focused on diving equipment, Tradeinn has not stopped growing, becoming a success story and an international leader in e-commerce, with 13 online stores specialising in various sporting activities and a catalogue with more than 500,000 SKUs. Recently, Tradeinn moved its operations to a 7,000 m², modern facility in Celrà (Girona). With the aim of equipping the new logistics centre and efficiently managing the impressive increase in sales, operations and stock, the company has put their trust in Mecalux. The project includes two types of solutions: on the one hand, 56 m long and 9 m high shelves for picking, prepared to easily extend to 14.5 m in height, which adapt to the great variety and size of products that the company manages. And, on the other, the Easy WMS warehouse management software from Mecalux was implemented, that optimises stock management and controls all the processes of the warehouse. 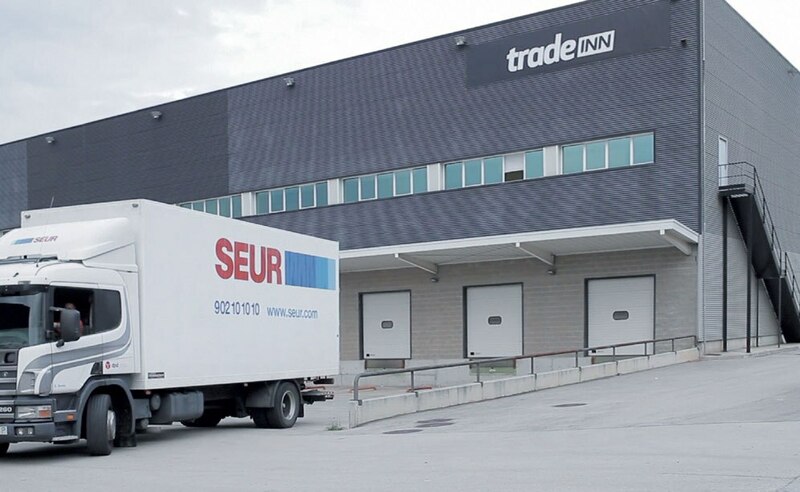 For Tradeinn, which receives an average of 2,000 orders per day, the help of Easy WMS is essential for order preparation, since the speed and accuracy of this process is critical to the success of the company. Among other functions, the WMS, using RF terminals, tells the operators when a product must go to cross-docking, in addition to allowing them to work on orders by waves: currently they can roll out 600 orders at the same time, which has provided a significant increase in productivity. In the words of David Martin, CEO of Tradeinn, "Mecalux has been a crucial partner in our growth. Both with the racking in each of the warehouses we have been in, and the Easy WMS that has helped us to reduce the costs of package preparation, which is something crucial in e-commerce". Tradeinn recorded its milestone 4,000,000th order at the end of 2015, with a 30% increase in sales from the previous year, consolidating its leadership position in this sector.